30th anniversary 2-CD re-issue, 1st time officially on CD & digital, with remastered sound and 2 re-recorded songs that couldn't make it back in '88. 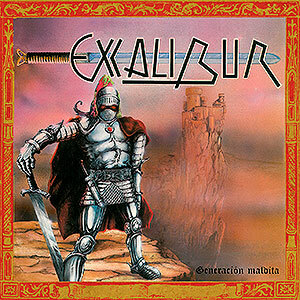 One of the most rare & sought after albums in the spanish Heavy Metal history!! Includes all their demos, EP's & live stuff from '84 to '91!! 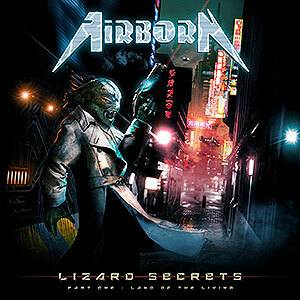 Stunning debut album by this spanish band formed by experienced musicians coming from reknowned bands like WARCRY, LORDS OF BLACK, CHICANOS, NOVA ERA, NIGHTFEAR... An amazing album of Heavy Metal adding a little bit of Power Metal and Hard Rock, with terrific vocal arrangements and awesome guitar work & rhythm basis. 4th album by this magnific band from Argentina that plays an epic tainted Power Metal with symphonic arrangements influenced by bands like STRATOVARIUS, RHAPSODY OF FIRE, MASTERPLAN, GAMMA RAY... featuring various guest european vocalists.